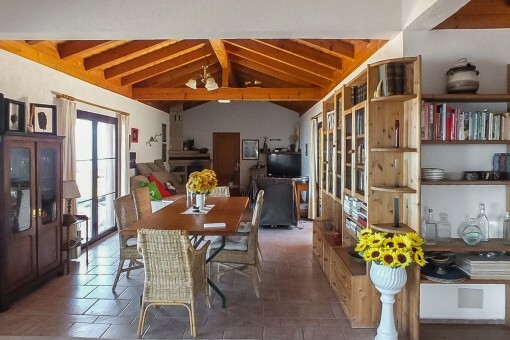 This villa with a spacious plot offers all opportunities, be it as an investment for holiday rental to guests, offering horse riding or for one’s own use, cultivation of fruit trees etc. 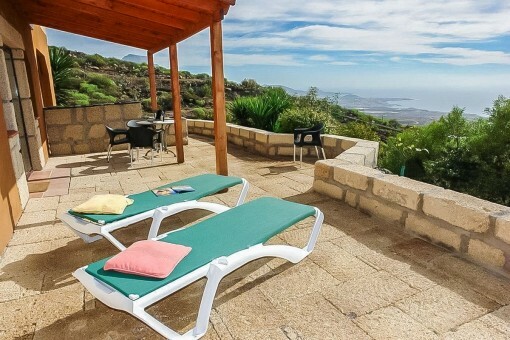 The terraces in front of the house offer a majestic view over the Costa Adeje, from Callao Salvaje and Playa Paraiso through to Playa las Americas and Los Cristianos, and across the neighboring island of La Gomera. 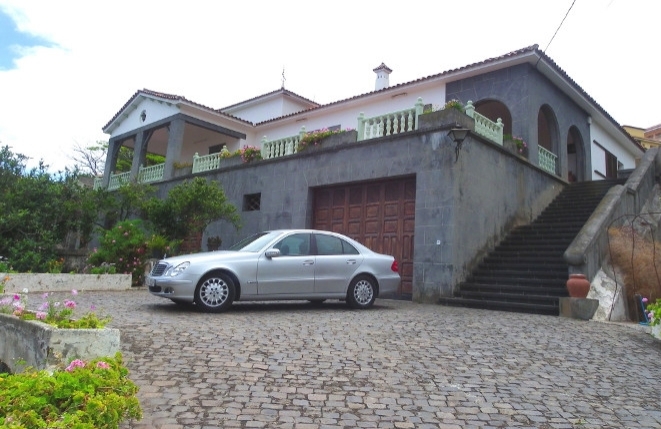 Moreover, no one has to put up with long drives to this beautiful finca location: In less than 5 minutes by car there are 2 large supermarkets, a farmer's market, consumer electronics stores, post office workshops, a public school and much more. 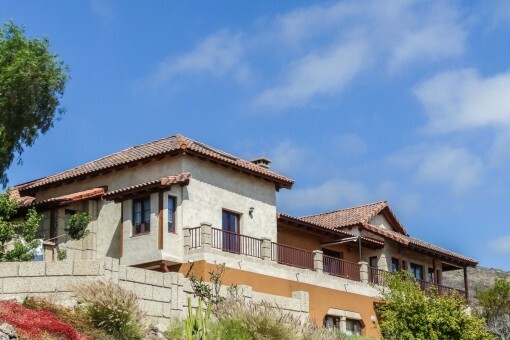 For golf lovers, the renowned Costa Adeje Golf Club is only a stone's throw away. 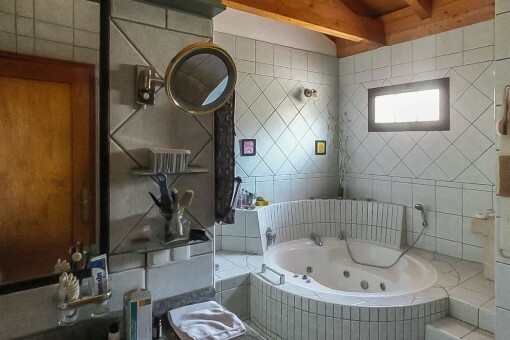 The spacious property has a main house, which is stylishly laid out around a patio. 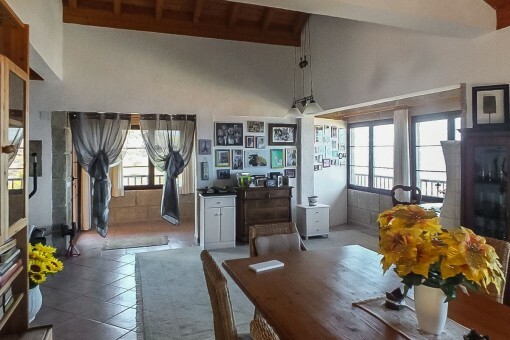 The large living area with a dining area and fireplace is located directly on the wide balcony with a view. 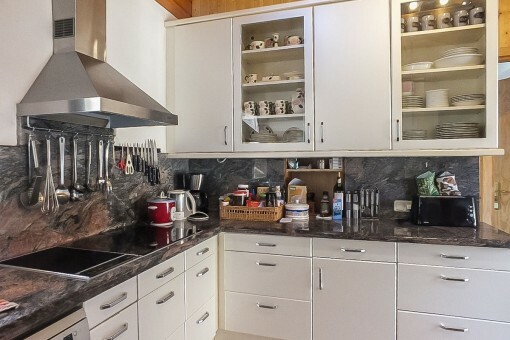 Of the - depending on use - 2 to 3 bedrooms one, with separate kitchen and bathroom, forms a separable apartment with a private entrance from the outside. 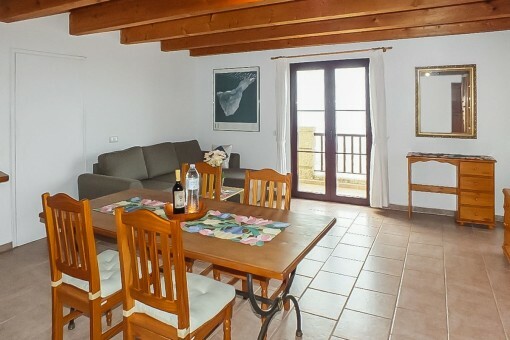 Here, as well as on the floor below, one can find 2 more apartments, each with a bedroom, living area, kitchen and bathroom, also offering an exquisite sea view. 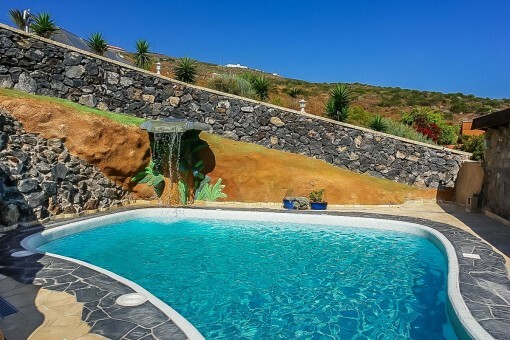 Two further guest houses are integrated into the beautifully landscaped garden with various plants, and next to them a rock pool with a water cascade and shower. 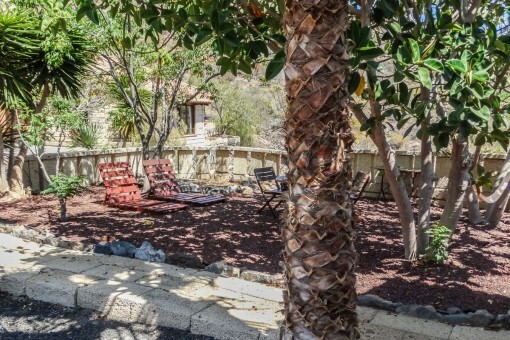 A quiet zone under shady trees invites one to relax. On the upper plot, 2 simple buildings were built for stables. 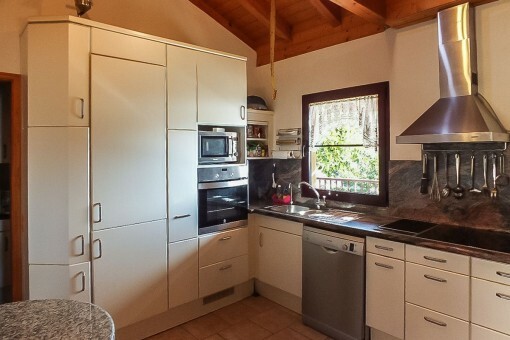 Furthermore, there is a large garage for 2 vehicles, a solar system and also a small apartment for housekeeping. 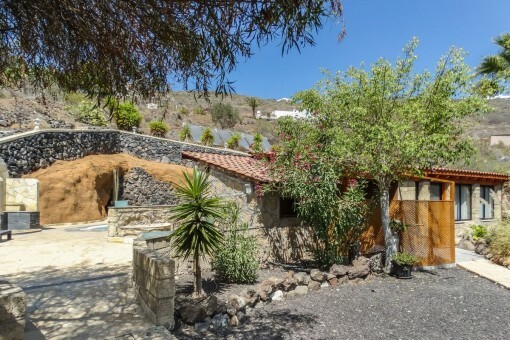 In summary, a complete Finca, perfectly laid out, with 5 guest apartments in a very pleasant location! 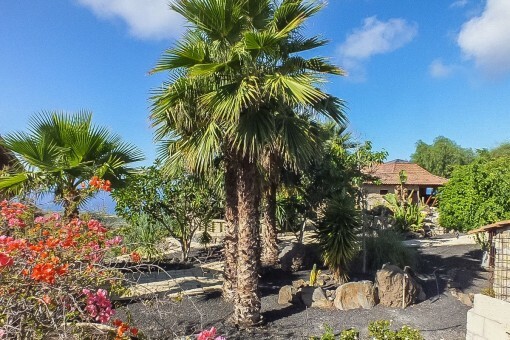 Adeje includes numerous popular settlements on the southwest coast of Tenerife, which are known in their entirety and together with the local coastline as Costa Adeje. 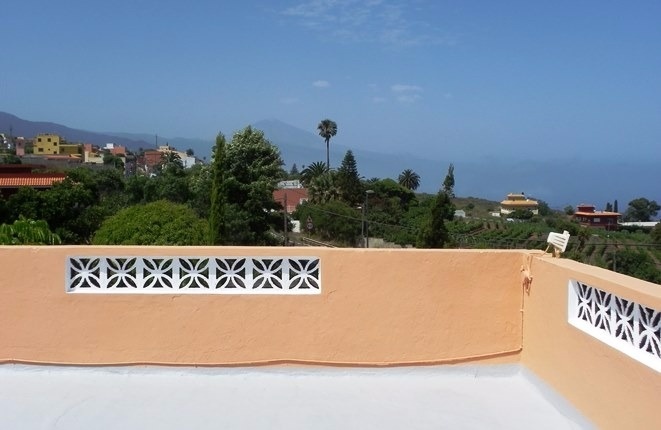 Under the protection of the volcano Teide, which opposes the trade winds mostly coming from the northeast, the climate is very sunny and the sunsets are even more impressive with the neighboring island of La Gomera in the background. 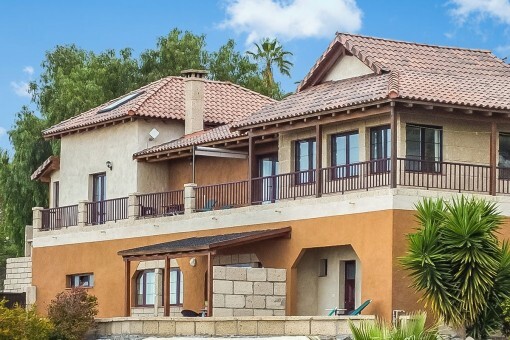 On this coast, there are many beaches with the best opportunities for swimming or water sports, from Playa del Duque, Playa de Fañabe, Playa de Torviscas, Playa del Bobo, Playa de las Cuevi-tas and Playa de Troya up to Playa de las Américas. 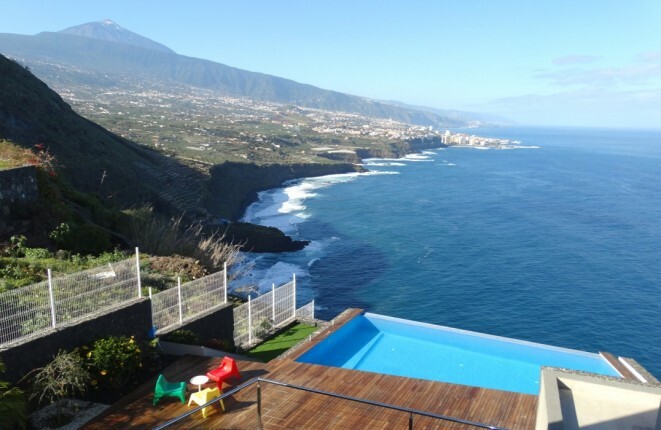 The marina of Puerto Colón is also a starting point for trips to whale watching, the cliffs of Los Gigantes (max. height 638 meters) and Masca Gorge. 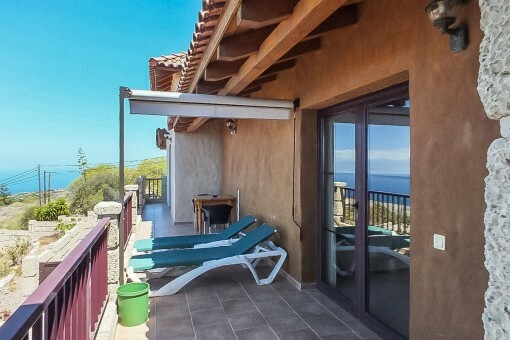 Not far from the beaches nestled harmoniously into the landscape, is the 27-hole golf course Golf Costa Adeje, on which to the viewer admires - directly adjacent to the green of the course - the deep blue sea with La Gomera in the background. The Costa Adeje has excellent infrastructure, numerous shops, restaurants and a lot of special at-tractions like the Aqualand and Siam Park. 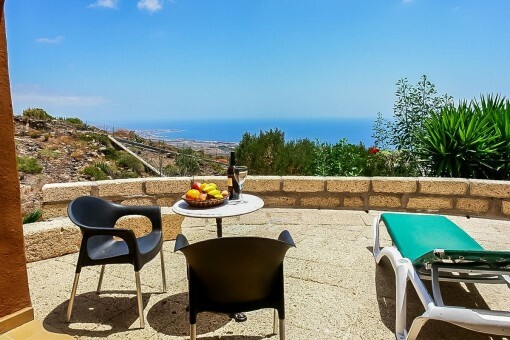 This will benefit owners of the many apartments, houses and villas in the region, but also the community Adeje, which presents itself in bright colors with its beautiful old church, town hall, elegant Canarian wooden balconies and around his cozy Plaza. Other cultural attractions invite you to a contemplative walk through Adeje, such as the cultural cen-ter or the large statues of Beethoven and the Guanche-King "El Gran Tinerfe". 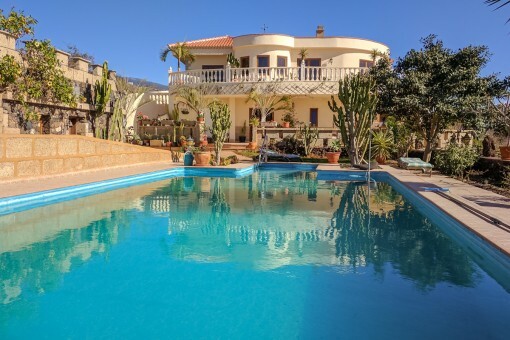 I'm interested in: Romantic finca with 5 apartments, exclusive pool and large plot in a splendid panoramic location (Objekt-Nr.600009). 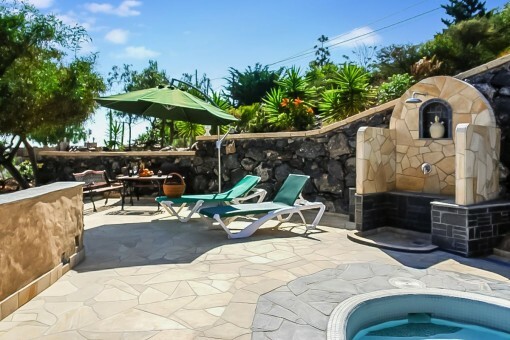 you are reading: Villa on the Costa Adeje on Tenerife with sea view and guest houses - purchase · Porta Tenerife Rating 4,8/5 by 4 testimonials.